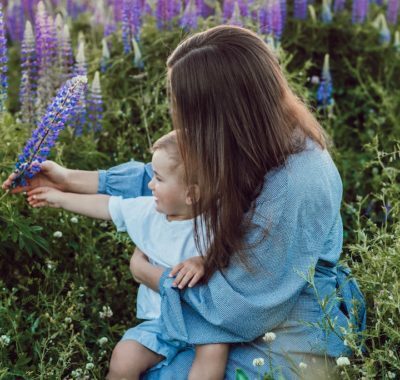 When you are out and about with Baby, it would be a good idea to familiarise yourself with the shortest way to get to the nearest nursing rooms and changing tables, especially if you are not keen on feeding your baby in public or in restroom cubicles. Here is a list of places where your baby’s needs can be met in major shopping malls in Singapore. We’ll be updating this regularly, but do let us know if we’ve left out a good one, all right? Thanks! Where B1 by the Cold Storage cashiers, and L4 next to Kopitiam. What it has The more spacious one on Level 4 has two small rooms, each with a lockable door and two changing tables. The smaller one on B1 has only a sofa circled by a curtain, a changing table and a sink. Other family friendly features in the mall None. Where On Levels 2 and 5, next to the restrooms. What it has A seat with curtain, a changing table, a sink and a hot/cold water dispenser. The seat is directly in front of the changing table, but there is enough space for a stroller in the room. Other family friendly features in the mall Complimentary use of kiddy cabs and baby strollers. There is an outdoor playground on L5. Parents laden with bags can use the locker service available on B1, L3 and L4, with two S$1 coins. Where Two rooms on B2, B1, L1, L2 and L4, one room on L3 and L4R, next to Serangoon Public Library. There is another one within Isetan’s children’s department on L3. What it has The mall’s nursing rooms are each equipped with a stool, a changing table, a sink and a hot water dispenser. Isetan’s nursing room is divided into two smaller rooms, each with a chair, a table and a lockable door, plus three changing tables, a sink with soap, a hot water dispenser, seats for awaiting family members, high chairs and a Yakult vending machine. Other family friendly features in the mall Complimentary loan of baby stroller for children up to three years old, wet and dry playgrounds at SkyGarden on L4R. Where On B1, L1, L2, L3, L4 next to the restrooms. There are two rooms on each level, except L4, which only has one next to the Library. What it has The rooms each have two seats separated by curtains, a changing table, a sink with soap and hand dryer, and a hot/cold water dispenser. The one in front of McDonald’s on L1 has only one seat. The one on B1 near Cold Storage is very big, but only one of the seats has a curtain around it. Other family friendly features in the mall Kiddy cabs for rent from the Customer Service on L2, at S$3 for the first hour and S$1 for every 30 minutes thereafter. A S$20 deposit is required. There is Kidz@play water playground on the rooftop as well. Where On L3, next to the restrooms behind DBS. What it has The newly refurbished Baby Care Room is equipped with three spacious nursing cubicles (one that is bigger than the other two), each with a sofa seat and a door that can lock, two changing tables, a sofa, a sink with soap, a paper towel dispenser, and a hot/cold water dispenser. Where On L1 by the restrooms. What it has One nursing area with a sofa, a power point and a curtain, a changing table, a sink with soap, and a hot/cold water dispenser. Where On B1, L1, L2 and L3, next to the restrooms. There are two on L2. What it has Each room has a bench, a diaper changing area, a sink with soap, and a door with hook latches. The room on L2 next to Kiddy Palace is purely a baby changing room, as it is not equipped with any seat, but there is a hot/cold water dispenser in there. Other family friendly features in the mall Complimentary loan of baby stroller from the Customer Service L1. There’s also small open-air playground at the level 3, next to Haagen Dazs. Where Bay Level, next to Gong Cha (Bay Level, L1-72), Bay Level, next to ARCH (Bay Level, L1-28), Galleria Level, next to Dior (Galleria Level, B1-28), Galleria Level, next to Cold Rock Creamery (Galleria Level, B1-60), Canal Level, next to EpiCentre (Canal Level, B2-100A), Canal Level, next to Rasapura Masters (Canal Level, B2-50). What it has Each room is fully equipped with a diaper-changing station, wash basin, hot water dispenser, disposable diaper bags and comfortable couches. Other family friendly features in the mall Kids (from age two onwards only) will enjoy taking a Sampan ride along the canal! Where On L2 and L3, next to the restrooms. What it has Each room has a nursing area with curtain, two changing tables, a sink with soap and tissue roll. The one on L3 has a hot water dispenser. Other family friendly features in the mall Complimentary stroller loan for babies from the Customer Service at L1. Where Next to the restrooms on all levels, at least one within the Ladies on L1. What it has The ones on B1 and L1 are of the simple bench-changing table-sink variety. The largest one is next to the playground on L2. It has six nursing cubicles with curtains, changing tables, power points, a sink with soap, a hot/cold water dispenser and a waiting area. The one on L3 by The Pet Safari has a smaller room with a sofa seat and a door that can be locked, a changing station with a tissue roll above it, and a sink a hot/cold water dispenser. Other family friendly features in the mall An outdoor wet and dry playground on Level 2, and a Roof Garden. Where No nursing room, but there is a changing table in the handicapped restroom on each floor. Other family friendly features in the mall Aqua Playground for five to 12 year olds on Level 4. There are baby swings for children aged 18 months and below. This outdoor wet playground does not have a changing room, but shares the common restroom with Level 4. Be careful of the glass door that swings inwards. Where On B1, L1, L2, L3 and L4, by the restrooms. What it has Every room is equipped with an armchair with a curtain, a changing table, a sink with soap and tissue roll, and a hot/cold water dispenser. Where On L2 and L3, next to the restrooms. L2 has facilities for women and is therefore dubbed ‘Exclusively Hers’. Aside from the nursing rooms, there is a long sofa and a huge mirror in the Ladies on this floor. What it has There are two nursing rooms on L2 and one room on L3. Each has a seat, a changing table, a sink with soap and tissue roll, and an ‘Occupied’ sign on that will come on once the light is switched on inside. The one on L2 has a hot/cold water dispenser. The folding door on L3 can be locked. Other family friendly features in the mall Complimentary loan of baby strollers. There are two kinds of strollers provided, reclining ones for infants, and sitting ones for older children. Where Two rooms on Level B1 and L2, three rooms on Level 1, including in the open air area called The Oasis. All are located next to the restrooms. There is one on L3 by The Arena. What it has Each Parent’s Room on B1 (next to Customer Service), and on L2 (next to The Petite Park) has two curtained seats and two diaper changing areas. The others have one. They all have a sofa seat, a diaper changing area, a hot/cold water dispenser, hooks for your bags, a sink with soap and tissue roll. The doors close automatically and can be locked. Other family friendly features in the mall Complimentary loan of baby strollers for infants. Some parts of the mall may be interesting for children: The Inner Court on B1 which is a simple open space, two mini outdoor areas on L1 with water features, the 3 House which is a wet playground L2, the Gardens on L3, and The Arena for performances on L3. Where On L6, near the toilets. There is a short staircase to get to the door. What it has The very small room has a sofa for one, a changing table and a lockable door. The lightswitch is outside the room. Other family friendly features in the mall There is a changing table in every handicapped restroom on B1, L1, L2, L3, and L5. Where On B1, L1, L2 and L3. There are no restrooms on L4 and L7. What it has The ones located near the restrooms are Drypers-themed, with a cushioned seat long enough to host two to three mothers comfortably, a little table, a sink and soap, and a hot/cold water dispenser. All have a diaper changing area, except the one on L1 which has two. The doors are lockable. 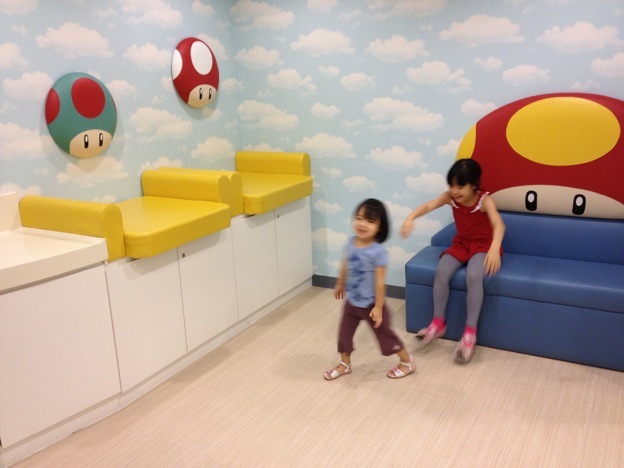 There is one additional nursing room within Isetan on L2. In this spacious corner, there are two individual rooms each with a chair, a small table, three hooks, and a lockable door. Outside are three changing tables, a high chair, a sink with soap and paper towel, two thermoses, one room-temperature boiled water in a plastic jug, and two sofa seats. The department store also offers a free “Isetan Baby Handbook for New Parents”. Other family friendly features in the mall Rental of kiddy cab or baby stroller at S$3 per hour and S$1 for every subsequent half hour, from Customer Service on L1. A S$20 refundable deposit is required. Where On L1, L2, L3 and L4, next to the restrooms. What it has Each room has a bench, a change table and a sink, with a sliding door that cannot be locked. Other family friendly features in the mall Complimentary loan of baby stroller for children aged one to three from the Customer Service on L3. There is an Open Plaza on L4 with slides and climbing structure outdoors, and an Interactive Room which has a TV, kiddie chairs, and seats for guardians. Where On L2 and L5, next to the restrooms. What it has The one on L5 has two smaller rooms. Each room has a changing table, a sink, and a hot/cold water dispenser and a transparent sliding glass door. Other family friendly features in the mall Complimentary rental of strollers from the Customer Service on B1 – but not for young infants as these are sitting strollers. There is a rooftop water playground on L5 for five to 12 year olds. The handicapped restroom on B1 has a changing table, but it is located in front of the Gents. Where On B1, next to the restrooms. What it has It has a sofa with curtain, a changing table, sink with soap and tissue roll, and a door with a hook latch. Other family friendly features in the mall Complimentary loan of baby strollers for infants. The Ladies’ on L2 through L5 all have a changing table. Where On L1 within the Ladies, L2 and L3 next to the lifts, and L4 next to the library. What it has Those on L2 to L4 have a seat with a curtain, a changing table, a sink, and a lockable door. The one on L1 has a bench, a smaller changing table, a sink, and a door that does not lock. Other family friendly features in the mall Complimentary loan of baby stroller, and an outdoor playground at the L2 Garden Plaza. Where On B1, L1, L2, L3, L4 next to the restrooms. Look for the ‘milk bottle’ signs. There are two on each level, but only one on B1. What it has The rooms on L1 and B1 have two sofas separated by curtains. Those on other levels have one. Each room has a changing table, sink, soap, tissue roll, and hot/cold/plain water dispenser. Other family friendly features in the mall There are two small indoor dry play areas on L2 which are open from 10.30 am to 10.30 pm. Where On L3, L4 and L5, next to the restrooms. There is one more within the food court on L4. What it has Each nursing room has a cubicle with a seat, a power point and a lockable door, a changing station, and a sink with soap and tissue roll. The seats are plastic chairs, except the one on L3 which is a sofa seat. The room within the food court has a magazine rack. Other family friendly features in the mall There is a play area within the food court, and Food Fare offers kids meals which come with free bento boxes. Where On L1 near Giant, L2 near OSIM, and L3 near the carpark entrance. What it has Each room has a cushioned bench, a diaper changing area, and a sink with soap. The one on L2 is too small to accommodate a stroller. The one on L3 is more spacious, but gets rather hectic due to its location. Other family friendly features in the mall Complimentary use of baby stroller from the Customer Service on L2, a wet and dry playground and a seven-metre Tree House at the Level 3 Garden Plaza. Where On L1 and L2, next to the restrooms, plus one more within Food Fare on L2. What it has Each room a corner seat, one changing table, a sink with no soap, and a lockable glass door. The one within Food Fare can accommodate one changing baby and one nursing baby. Other family friendly features in the mall A covered playground outside Food Fare. Food Fare has a Kids Dining Area with long low tables and kid-sized chairs, a TV and a kiddy sink, as well as a Kids Menu. Where On B1 and L3 in the new wing next to the toilets, and within the L2 Ladies restroom. What it has Each has two smaller rooms, two changing tables, a child-friendly sink, and a hot/cold water dispenser. Other family friendly features in the mall There is a changing table in every handicapped restroom on every level. Where On B1, next to the restrooms by Home Fix. What it has Two smaller rooms each with curtains, a sofa, a small seat, and a small table, two changing tables, a sink with soap, a hot/cold water dispenser, two small seats, and a stroller parking zone. Other family friendly features in the mall Complimentary loan of baby stroller, a changing table in the handicapped restroom on L2, a wet and dry playground and a Kids TV Room at the L5 Roof Garden. L4 and L5 have family restrooms, each with a changing table, a kiddie toilet bowl, an adult toilet bowl, and a sink. Where On B1, by the restrooms. What it has One smaller room with a sofa and a lockable door, two changing stations, a sink, and a baby chair. Other family friendly features in the mall Complimentary loan of baby stroller from the Customer Service on B1. Where On B3, L1 and L5 by the restrooms. What it has Each has two smaller rooms with curtains, a sofa, two changing tables with mobiles above them, diaper disposal bag supply, a sink with soap, a hot/cold water dispenser, a toilet for adult and kids with a tissue roll, and a microwave. The one on L1 does not have a soap dispenser and a microwave, though. Other family friendly features in the mall The Sky Terrace playground on Level 5, outside the food court. Where On B1 and L1 by the restrooms. Where On B1, L1 and L3. There is one room in the Malabar Mal area on L1, and next to the restrooms in the main building. What it has Each room has a bench, a changing table, a sink and a sliding door with a hook latch. There is one more within BHG on L3, with two individual rooms with curtains, four diaper changing areas, a sink and a hot/cold/room temperature water dispenser. There is a spacious seating area for waiting family members. Other family friendly features in the mall The mall does not provide the service, but complimentary loan of baby strollers is available from BHG Customer Service Counter on L3 for babies 12 months old and below. Where On L1, L2, L3 and L4, next to the restrooms. Look for the small “baby” writing on a red square on the door. The rooms are inconspicous as they are located along a row of uniform white doors. Only those from L1 to L3 were open to public when we visited. What it has Each room has one bench with enough space for two, a foldable changing table, a sink with soap, and a door that can be locked. Note that the doors are partially glass and the nursing mother can be seen from the outside (tip: you may want to use a nursing apron). Due to the small room size and doors that open inward, strollers cannot fit. Waiting family members can sit along one side of the atrium; there are plenty of seats there, especially on L3. Other family friend features in the mall None. Where On L1, L3 and L6. The one on L1 is within Mothercare. There is one Nursing Room and one Family Room on L6. What it has The nursing room on L1 has a chair and a changing table with a door you can lock. The one on L3 has two smaller rooms each with a lockable door, and two changing tables. The one on L6 is a very small space. In contrast, the Family Room on L6 is spacious and has one smaller room with a sliding glass door with a changing table inside and outside of it, an adult sink and a kiddie sink with soap and hand dryer and two toilets. Other family friendly features in the mall There is a sign in every Ladies restroom with information on the location of Nursing Room and Family Room. Changing tables are also available in the L2 Ladies restroom as well as in L2, L3 and L4 Gents restrooms. Where On B1, L2 and L4, next to the restrooms. What it has Each Nursery has two smaller rooms with a sofa seat, a power point,and a lockable door, a changing table, a sink with soap, and a hot/cold water dispenser. Other family friendly features in the mall Complimentary loan of kiddy cabs and baby strollers from Customer Service on L2, an outdoor “eco-playground” and a “Living Maze” outside the main entrance. Where Near the Concierge. You need to request for the key from a concierge. What it has The Parents Room has a nursing cubicle with a chair, a changing table and a lockable door, another changing table in the common area, and a sink with soap. Where On L2, L3, L4 and L5, by the restrooms. What it has Each room has a bench and a changing table, a sink and a hot/cold water dispenser. Where On L1 next to the restrooms. What it has There are two sofas, two power points and two changing tables separated by curtains, a sink with paper towel supply, and a sofa outside the room for waiting family members. Other family friendly features in the mall A Hip Kids Club for members. What it has Each room has a bench, a changing table, a sink, and a sliding door which is lockable. Other family friendly features in the mall Complimentary loan of strollers for toddlers up to six years old from the Customer Service on L1. Where On B1 by the restrooms. 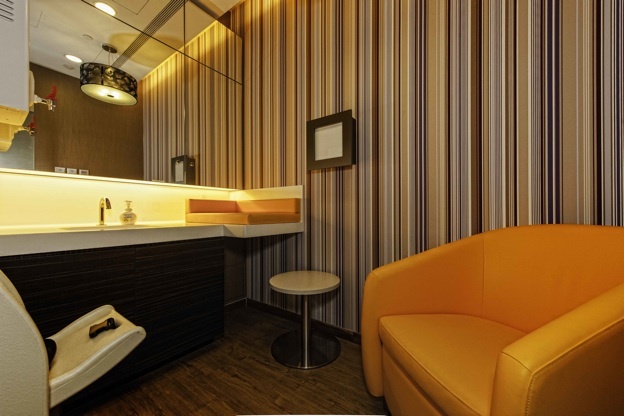 What it has Dubbed the most beautiful nursing room in Singapore, the room is equipped with two smaller rooms each with a sofa, a table, a power point and a lockable door, two diaper changing stations with hanging mobiles, sink with soap, and a hot water dispenser. Where On B4, B3, B1, L3 and L4. There are two on each of these levels. There are no restrooms on L1 and L2. What it has Each room is very comfortable and well equipped. There is a chair with a fan beside it, a changing table, dispensers of Huggies M size (for five to 10 kg) diapers and baby bed liners (S$1 each), a hot/cold water dispenser, a sink with soap and hand towel, and a lockable door. There is a bench outside the rooms for waiting family members. Other family friendly features in the mall Complimentary loan of baby strollers at the L1 Concierge. What it has Two nursing rooms, each with a sofa, a table and a sliding frosted glass door. Two changing tables, one of which has a seat for the older toddler. There’s also a sink, and a water dispenser with hot, cold, or room temperature water dispensing options. Other family friendly features in the mall Complimentary loan of strollers for babies who can sit upright from Customer Service on L2. Where One room on B1, one room on L1, three rooms on L2, four rooms on L3, near some of the restrooms. What it has Each room has a cushioned seat for two, a changing table, a sink with soap and a door that can be locked. Other family friendly features in the mall There is an indoor playground on L3. Where Family Rooms on L2, L3 and L4. What it has A sofa seat for two, a diaper changing area, and a sink with a lockable door. Other family friendly features in the mall There is a changing table within L1 Ladies restroom, and within L2, L3 and L4 Gents restrooms. Where On B2 (next to #B2-101), B1 (next to #B1-82A), and two rooms on L1 (next to Exhibition Hall B and #L1-28). There is one within the Rasapura Masters food court as well. What it has Each spacious Family Room has a sofa bench with a hook above it, a chair, a narrow changing table with disposable diaper bag supply, a kiddie toilet bowl, a sink with soap and hand towel, and a lockable door. Other family friendly features in the mall Complimentary loan of baby stroller for babies/children up to four years old. Just approach any of the mall’s Concierge personnel. Where On B1, by the carpark entrance, near Lift Lobby B. What it has Two smaller rooms with curtains; one is bigger than the other. The bigger one has a bench, a table, and a power point. The smaller is only equipped with a lone armchair. The common area has two diaper changing areas with the sink and soap in between, a long cushioned bench and two high chairs. Where On B2, B1 and L3. There are two on B2, within the Food Hall and next to Watsons. The ones on B2 and B1 are within the Ladies. What it has The ones on B2 are a room with two smaller rooms each with a sofa, a changing table, and a hook latch (although one door next to Watsons is missing the latch). Two more changing tables are in the common area, together with the hot water dispenser, sink with soap and tissue rolls. The ones on B1 are two separate small rooms with only sofa and changing table inside. The one on L3 is near the toys department, on the opposite end from the restrooms, with a big “Nursery Room” sign. There are seven changing tables, two seats for nursing moms separated by curtains, a hot/cold/room temperature water dispenser, sink with soap and hand towel, a lower small tub presumably to wash bums, and enough seats for waiting family members. Other family friendly features in the mall Complimentary loan of baby stroller from the Customer Service on L2, within Takashimaya. All other Ladies restrooms on every floor has a changing table, the one on L2 hidden behind a wall. Where On L4 and L7 next to the restrooms. What it has The one on L4 has a door that can be locked. There is a cushioned seat and a sink, but no changing table. There were the cleaner’s personal items in the room at the time of visit. The one on L7 has the same fixtures, but the door is missing its lock. Where On L2 next to the restrooms. What it has The room has a cushioned stool, a changing table, a sink and a door that can be locked. 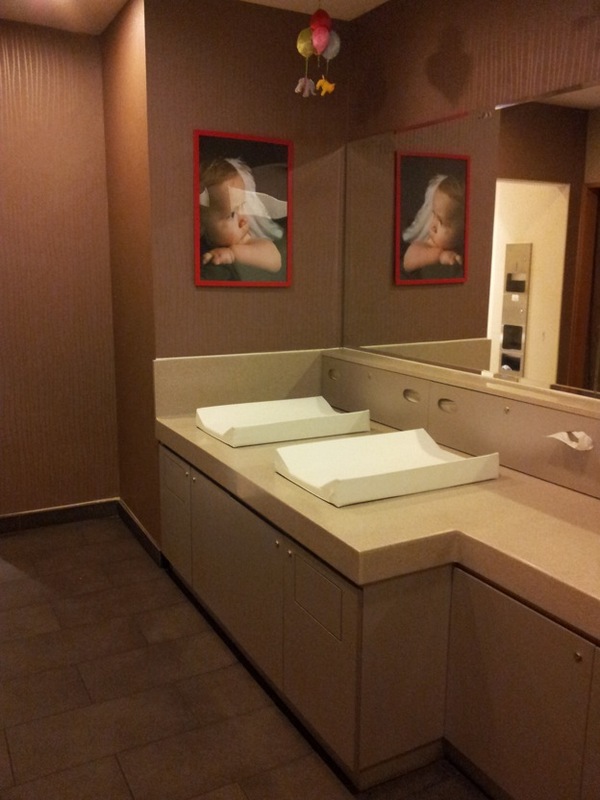 Other family friendly features in the mall Diaper changing tables are available in the restrooms on B1, L1, L2, and L3. Where On L3 and L5 by the restrooms. What it has The one on L3 has two changing stations and one small smaller room for nursing. But the one on L5 has two separate rooms. One room has two changing stations, and the other across the aisle is a nursing room with a sofa seat, a power point, and a lockable door. Other family friendly features in the mall There is an indoor playground on L5 for children aged two to six years. Where On L3 next to the restrooms, and on L6 within the Ladies. What it has The one on L3 has two changing tables, one inside the room with the sofa seat and the lockable door, and one outside the room. Other family friendly features in the mall Complimentary loan of baby stroller, and a family lounge@Level 4 which is open Monday to Friday from 12 noon to 8 pm, and on Saturday, Sunday and public holidays from 11 am to 9 pm. Terms and conditions apply. Changing tables are available in Ladies’ restrooms from Levels 2 to 6. Where On B1 and L3. What it has Each room has a smaller room with a seat and a door that can be locked. The one on L3 has a power point and two wooden chairs. In the common area, you will find a sink with soap, one changing table on B1, four on L3, a high chair and seats for awaiting family members on L3. Other family friendly features in the mall Complimentary loan of baby strollers from the Concierge on L1. What it has A long seat enough for two or three people, a changing table, a sink with soap and paper towel dispenser, and a sliding door that can be locked. Where On L3 at the Kids Zone. What it has The room has two smaller rooms each with a sofa seat and a sink with soap, and a sliding frosted glass door that can be locked. The common area is equipped with two diaper changing areas with a sink with soap in between, a hot/cold water dispenser, and a long sofa seat for waiting family members. Other family friendly features in the mall Complimentary loan of baby strollers from the Tropics Service Desk at L1, an outdoor playground at Sky Garden accessible from the glass door next to Singapore Post, and a Koi pond on B1 of the same Tropics Zone. Where On L1 outside the main mall, next to the Ladies. What it has A long bench, a small changing table, a sink with soap, and a door that can be locked. Where On L2 and L5, next to the restrooms. The one on L2 is newer. What it has A changing table, a sink, and hot water dispenser. Other family friendly features in the mall Complimentary loan of baby strollers from Customer Service on L2. Where On L3, by the restrooms. What it has The beautifully decorated Baby Care Room has two cubicles, each equipped with an armchair, a small table, a power point, and a door that locks. The common area has a long diaper changing station more than enough to accommodate two babies, a sink with soap and paper towel supply, and a hot water dispenser. Where On L1, next to Growing Fun (#01-29/30) @ Connectz. What it has The nicely decorated room has three nursing cubicles each with a chair, shelves, a power point and a door you can lock. There are three changing tables, a sink with soap, a hot/cold water dispenser, a high chair and a bench with a magazine rack for waiting family members. Other family friendly features in the mall Complimentary loan of baby stroller for three hours. Where On L3, next to the restrooms. What it has The sport-themed nursing room is spacious and has two smaller rooms, each with a sofa enough for two, a power point, and a door you can lock. The common area has a long sofa seat, a changing table, a sink with soap, a bottle of sanitiser and a hot/cold water dispenser. Where On L1, by the lift lobby. What it has The nursing room can accommodate two or three mothers, but does not have any partition between the chairs and the changing table. It has a sink with soap, a power point, but the door cannot be locked. Where Within the Ladies restroom on L3. What it has A sofa, a changing table, a sink with soap, and a curtain which cannot be secured with a loop and hook. Other family friendly features in the mall Although their website states that there is a changing table in the handicapped restrooms on Level 2, 3 and 4, only the one on Level 3 had it when we visited. Level 4 is currently being renovated. Complimentary loan of baby stroller is available. 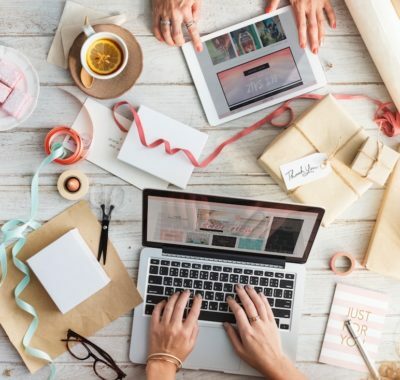 Given the fast-and-continuous-changing nature of architecture in Singapore, there will probably be alterations and improvements to the features mentioned above. When you discover these changes, please feel free to post them in the comments below so that we will be able to update this directory. Have a great day out with your little one! 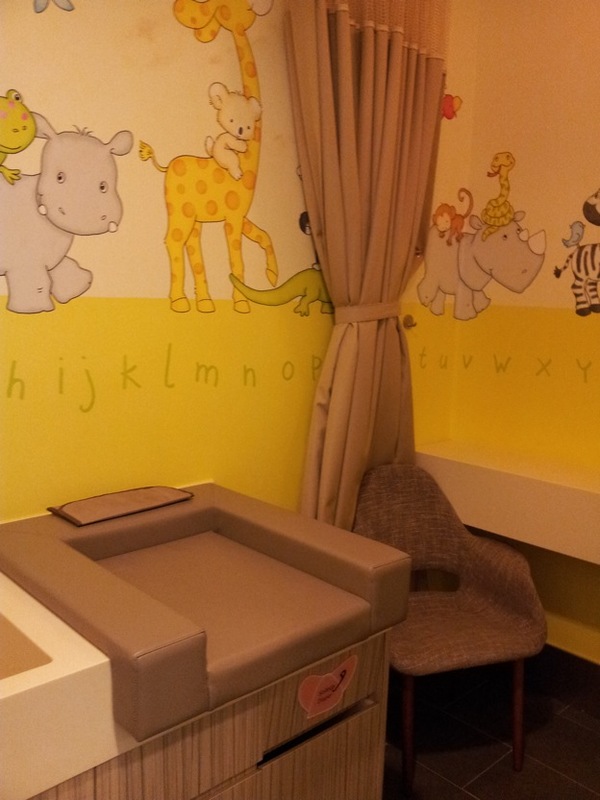 Bishan Junction 8 now has a baby care room on level 1 next to the restrooms. There are 2 nursing rooms, and common area has 2 changing tables, hot water dispenser and sink. Thanks for the update, Wy! With the new extension open at Plaza Singapura, there are baby care rooms located at each level, just outside the toilets. The nursing rooms within are very comfortable and spacious! Thanks for the update, ML! I went Causeway point last Friday. L3 nursing room do not locked door and a bit dirty of the room. IMM had been renovated with a quite spacious nursing room with 3 changing tables , 1 big sink , hot and cold water dispenser and 4 or 5 (I can’t remember) breastfeeding rooms with lock. Located at Level 2 beside exit to carkpark infront of the passenger lift. It’s very clean. JEM got one similar nursing room located at B1 beside Burger King. 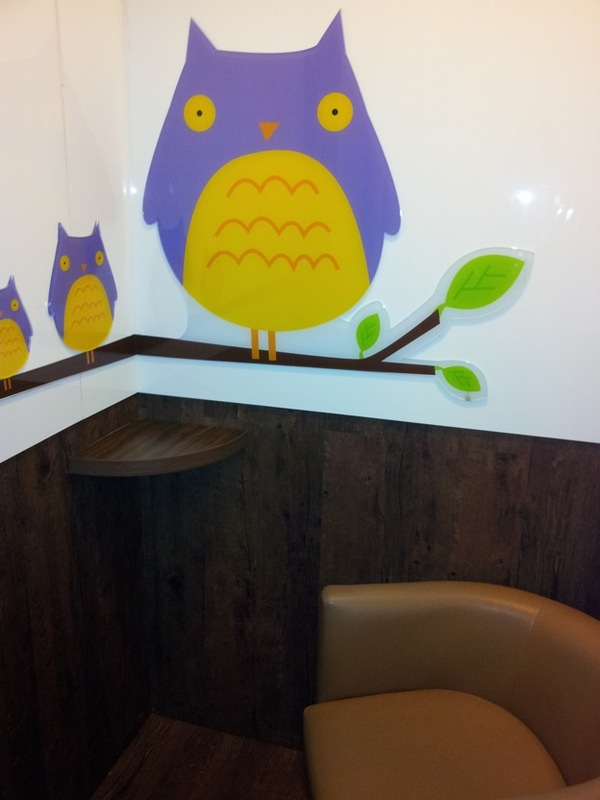 Do jcube n westgate hav baby room? Hi, is there any nursinf room in tanjong pagar area? I am going there to attend a course. Don’t know where to express milk. pls help. We probably used the wrong room in IMM. Ended up in the cubicle for handicaps which had a changing table. The cubicle was in a word FILTHY. It smelled bad. The changing station was also in a sorry state. Fortunately we had our own diaper mat. Felt terrible subjecting our baby to that room. Never again. Thanks motherhood. The information you have collated has been of great help whenever we have been out. An update to your mall list. Bedok mall now has a baby room at B1. This area is equipped with two feeding rooms with sofa chairs and locks. 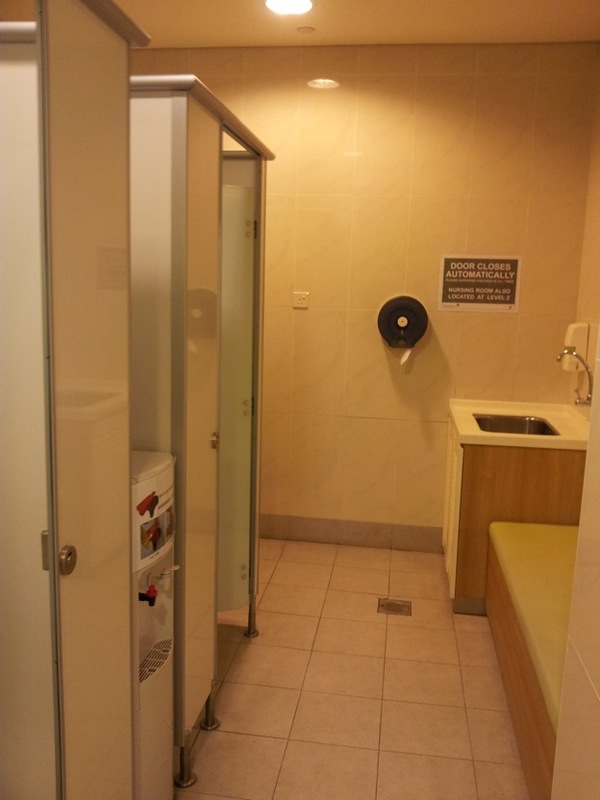 Also, has a relatively large changing room with two changing tables, sink and, hot and cold water dispenser.